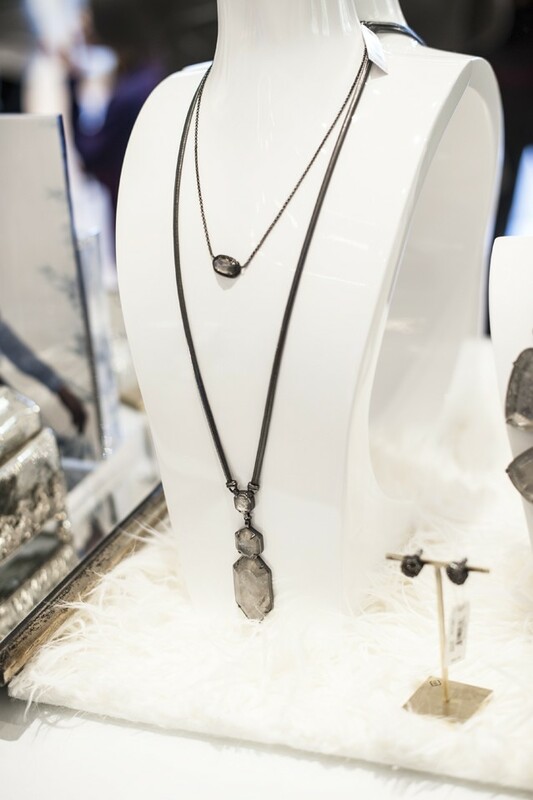 The boutique offers dramatic and simple necklaces with earrings that coordinate. 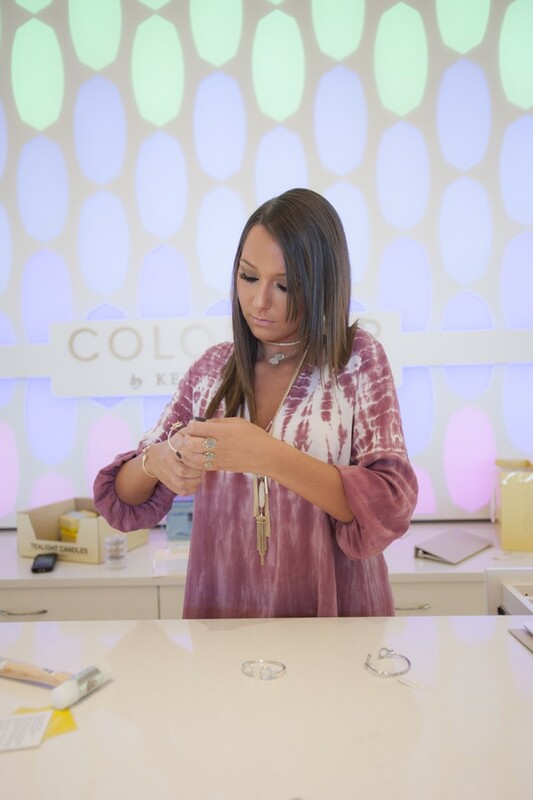 Rings and bracelets round out the list with unique designs like the double ring wrapping two fingers with 3 stones. 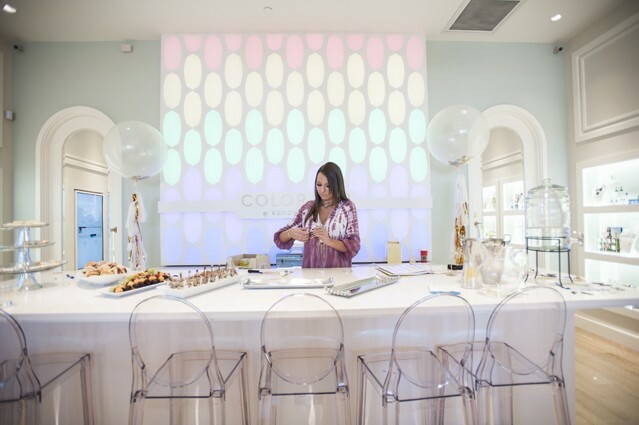 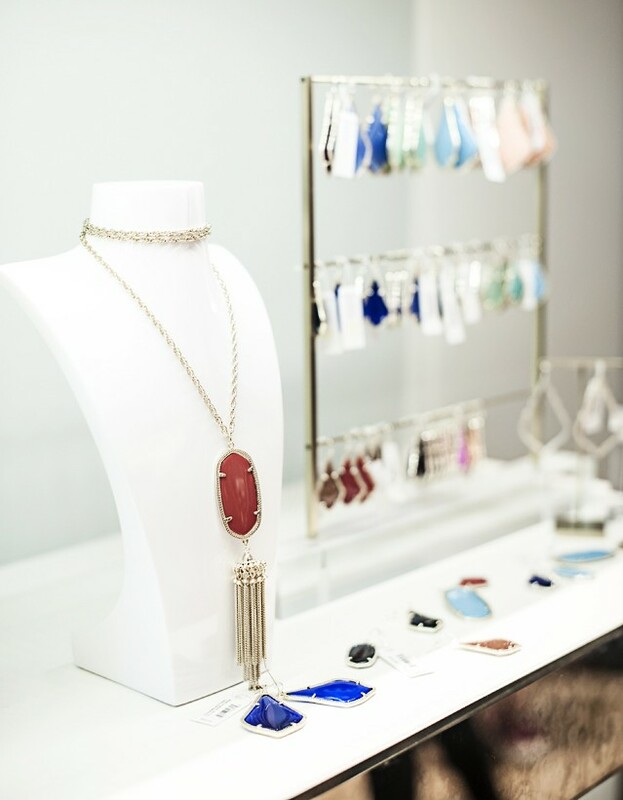 The signature offering is the “Color Bar” where pendants and earrings are customized in-house by choosing the shape, color, and stone. 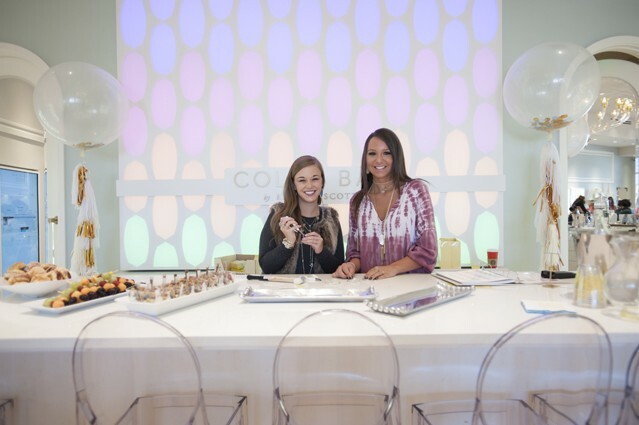 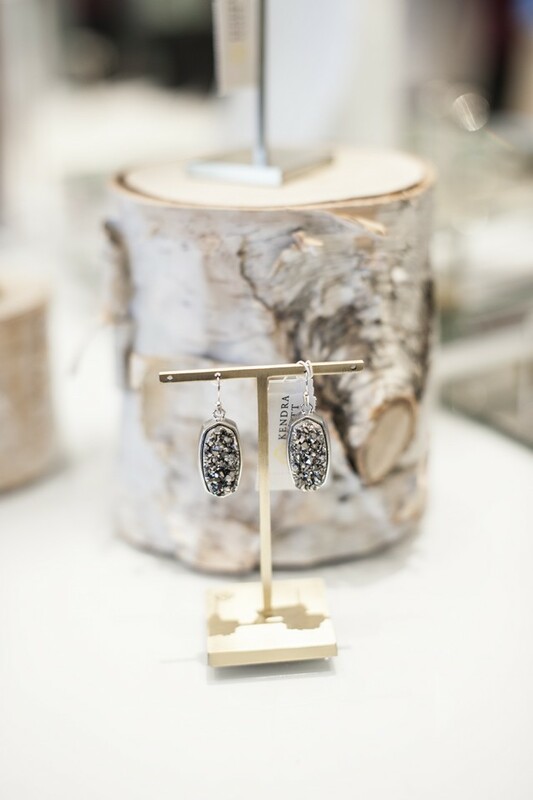 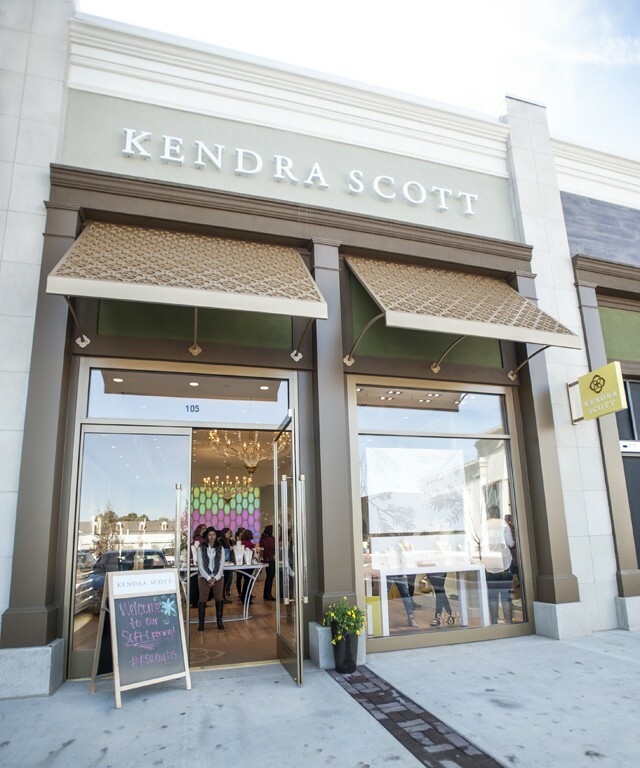 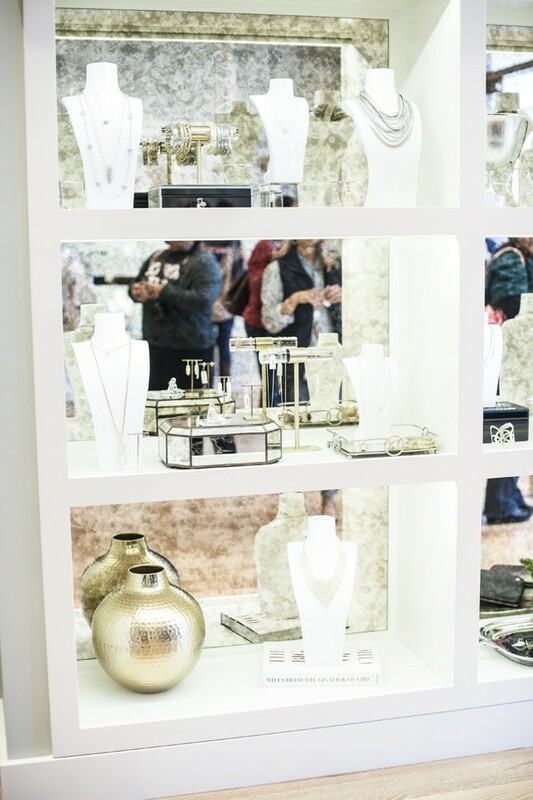 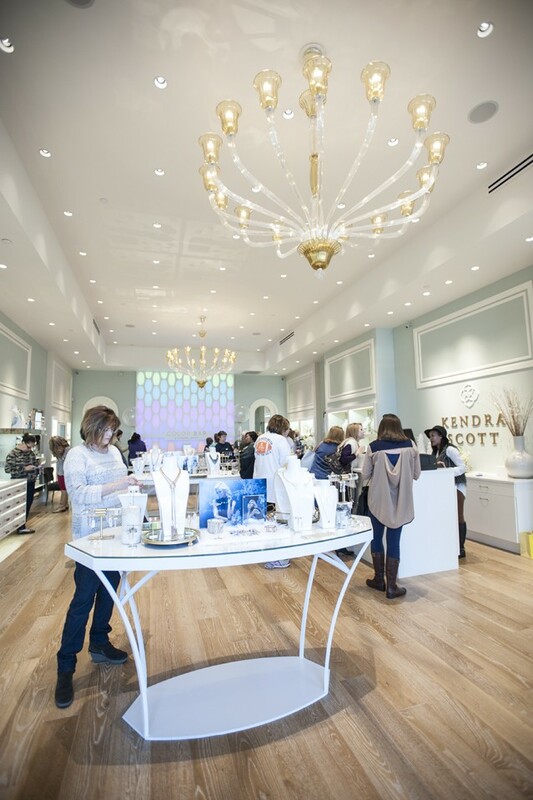 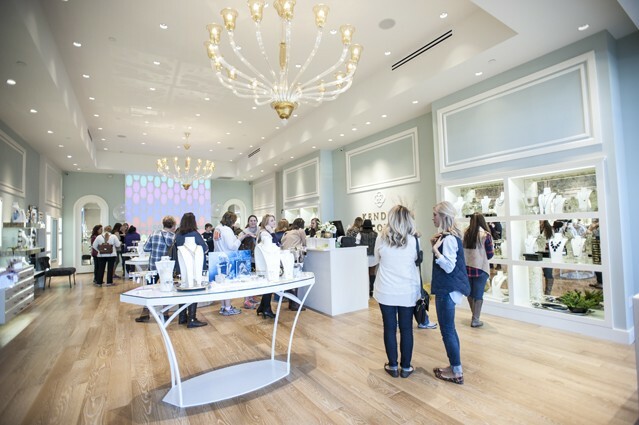 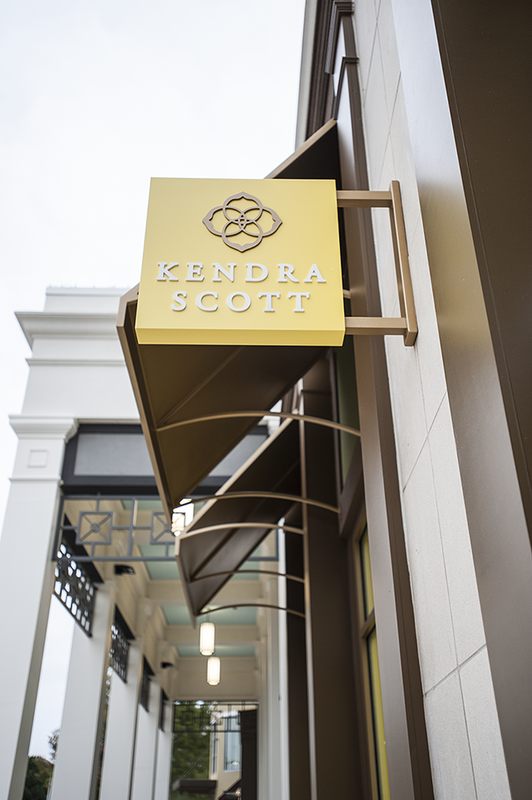 If you are interested in hosting your own Kendra Gives Back event, contact the store at events@kendrascott.com.